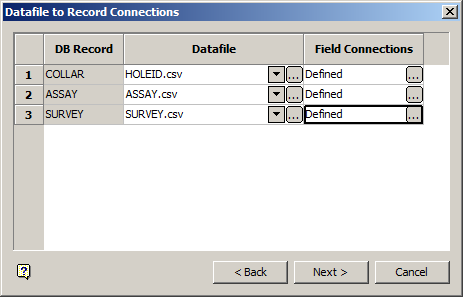 Maptek Vulcan has a procedure to lock databases when they are in use. If you’ve ever used the software you’ve seen the green, orange or red locks on the database in the Vulcan Explorer. The green lock means that the database is open by you and that you have read-write privileges to modify it. The red lock means that the database is open by someone else and that you can load and copy layers from it but you can’t write back to the database. The orange lock means that the database has crashed and should be recovered and unlocked. That’s it. Now when you try to unlock the database you shouldn’t have any problems, although you may want to press F5 to refresh the screen. This issue is the result of the envis_gui executable being left running after a Vulcan crash. It doesn’t always happen, but sometimes envis_gui.exe doesn’t get shut down as part of the crash procedure. Restarting your computer will accomplish the same task (closing envis_gui.exe) but it takes longer. Now you know how to unlock a Maptek Vulcan database that has been locked by you.